Read a full match report of the friendly game between Rotherham United and Leicester City at the New York Stadium on Tuesday 5 August, 2014. - Leonardo Ulloa scores his first goals for the Club in the first half to put Leicester 2-0 up. - Rotherham pull a goal back after the break, but a Danny Drinkwater goal restores the two goal cushion. - Unbeaten pre-season campaign continues, with nine players completing the full 90 minutes. - Anthony Knockaert limps off with an ankle injury midway through the second half. 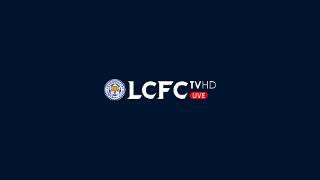 An impressive first half brace from summer signing Leonardo Ulloa helped guide Leicester City to yet another pre-season victory over Championship newcomers Rotherham at the New York Stadium. The former Brighton man opened the scoring just before the half hour mark with an accurate finish across goal before adding a second just 10 minutes later, when he was in the right place to head home an excellent cross from Ritchie De Laet. Millers substitute Kieran Agard pulled one back on the hour, but the ever-reliable Danny Drinkwater fired in a lovely half volley shortly afterwards to restore the two-goal lead in what was an excellent performance, marred only by an injury to Anthony Knockaert in the second half. After half of the squad completed 90 minutes against MK Dons on Monday night, it was the turn of the likes of Drinkwater, Matty James and Ulloa to stake their claim from the start against the Millers. Ulloa led the line alongside youngster Tom Hopper, while Kasper Schmeichel was in goal behind a back four of Marcin Wasilewski, Liam Moore, De Laet and Paul Konchesky. 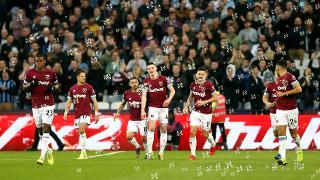 As expected, the attack-minded hosts began with great gusto as they attempted to put pressure on City in the early stages, but for City it was the efficient work of Gary Taylor-Fletcher in the midfield areas that was proving most effective. The experienced campaigner consistently broke up Rotherham attacks with some astute interceptions, but it was Hopper who went closest early on, when he showed some quick feet to engineer a shooting chance, which Scott Loach got down well to save. Rotherham’s main threat was becoming increasingly clear as the half wore on after a series of dangerous corners towards the far post. In the 19th minute, Schmeichel did well to get fingers to Pringle’s kick from the right, and again to get in the way of two thunderous follow up efforts. Millers play-off final hero Alex Revell then glanced a header wide from another Pringle corner, while City’s grip on the midfield weakened and the game became a much more even affair, although without a great deal of chances being created. It was to take a moment of genuine quality to break the deadlock and it duly arrived on 29 minutes. James had an initial effort from distance that struck a Rotherham defender and fell into the path of Ulloa. There was still work to do though, and he did brilliantly to drag it onto his right foot before firing an accurate drive across goal and into the far corner for 1-0. Just 10 minutes later and Ulloa was on the scoresheet again, but he had De Laet to thank for it. The Belgian’s pinpoint cross from deep on the right floated perfectly for the Argentine to head past Loach at close range. After the break, Rotherham came flying out of the blocks, with a series of chances from substitutes Kieran Agard and Conor Newton – the latter forcing a fine fingertip stop from Schmeichel from his drilled effort. City responded by turning the screw themselves, and unsurprisingly, it was Ulloa who was at the heart of it – the striker coming within a whisker of a hat-trick when substitute ‘keeper Adam Collin tipped his near post header around the post. The hosts were lively though, and they managed to halve the deficit on the hour mark courtesy of last season’s top scorer, Agard. Ryan Hall had the initial shot, which was well blocked by Liam Moore, but into the path of Agard, who took the ball down well and pulled the trigger on an accurate right foot shot into the bottom corner. Just five minutes later Leicester responded clinically. The ball came in from the left, and after Rotherham failed to clear, it fell to the feet of Drinkwater 12 yards out, who squeezed an excellent half volley just inside the near post to restore the two-goal cushion. City looked comfortable, but the hosts did carve out openings to close the gap. However the lively Agard was guilty of wasteful finishing from promising positions, meaning the Foxes could take great confidence from yet another pre-season victory.